We have several fields of second crop corn (corn behind corn) that look good. This field is silking. We don’t expect very high yields on these fields and one farmer who had some last year harvested it on New Year’s Day. 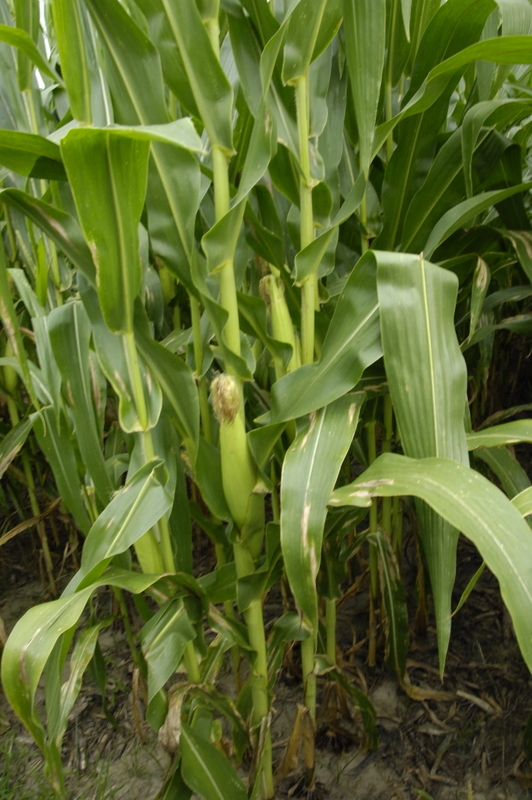 Corn grown this time of year needs good genetics to fight off foliar diseases and insect damage. That’s not enough and we need to apply fungicides to help control leaf and stalk disease. You can see the Northern Corn leaf Blight (NCLB) in the stalks below, even though this field has been sprayed twice with fungicide. Yesterday I found the first Southern Rust in “rust resistant” corn. This is likely a different race of the rust. 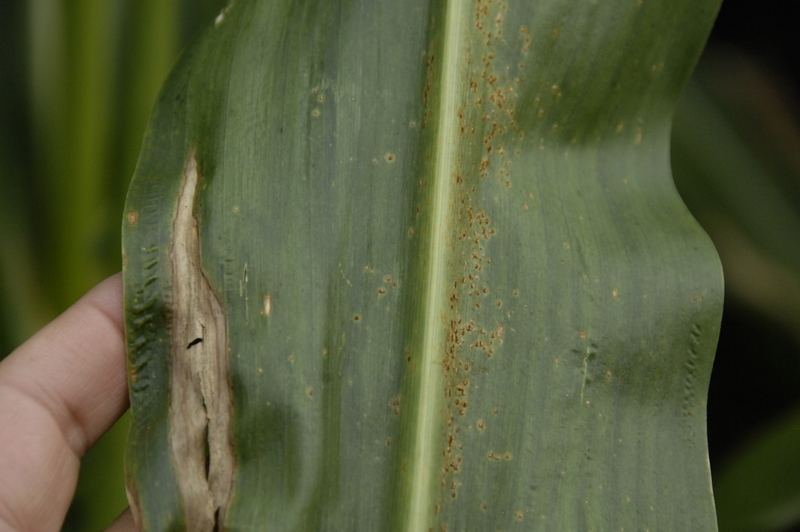 See it on the right side of the photo and a NCLB lesion on the left. 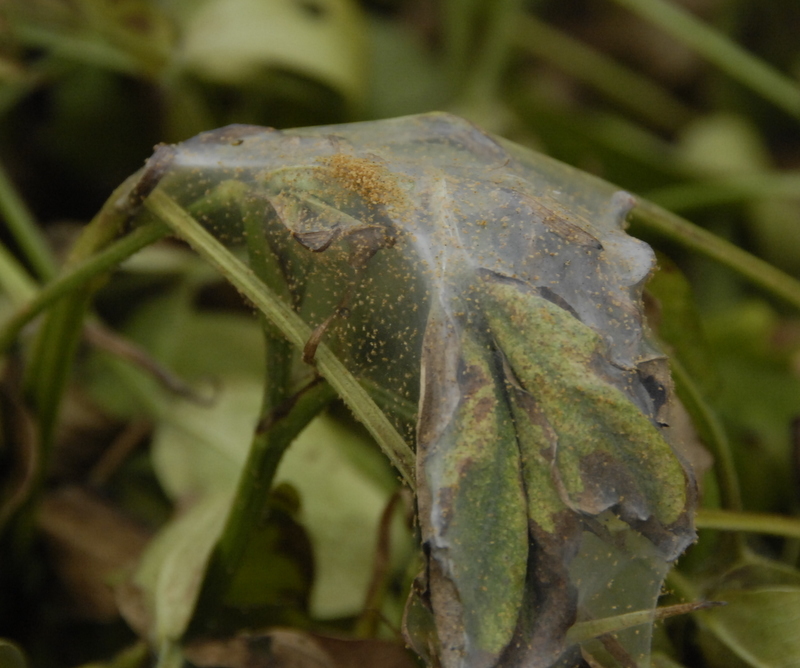 Now is a good time to evaluate disease control in our peanut fields. This was a serious White Mold (sclerotium rolfsii) year for us and so it will show up if your control program was less than what you needed or the timing was off. White mold came in early this year. 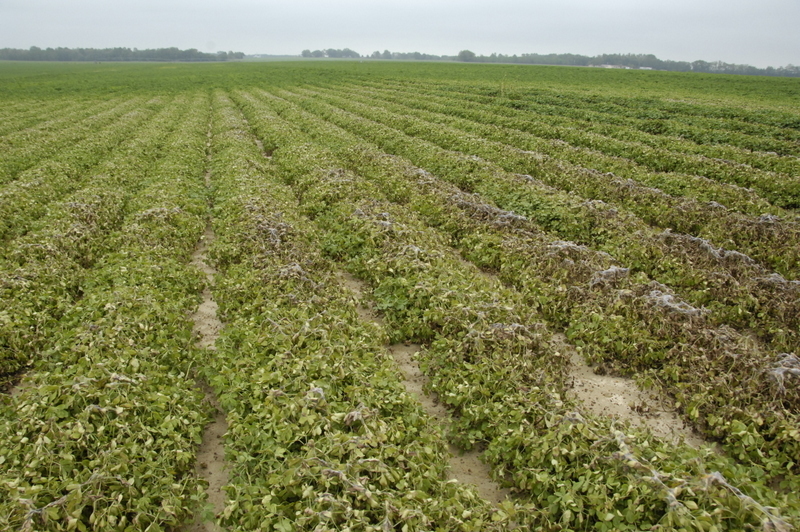 Here is a field that recieved too few fungicide applications too late in the year and white mold was a yield reducing problem. 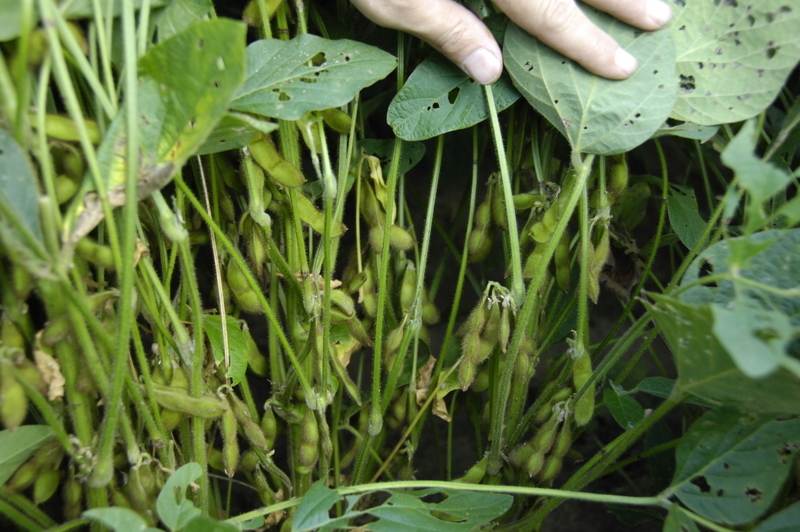 Dr. Bob Kemerait, UGA Extension Plant pathologist says that, “Now is an EXCELLENT time for growers to identify areas in their peanut fields where nematodes are a problem. This is best done by locating areas of poor growth and then looking at the roots, pegs, and pods for galling. Nematode samples can be collected and sent to the UGA Lab in Athens for further confirmation of the scope of the problem.” If you want to take a nematode sample you should take it in the root zone if possible and keep the sample cool and moist until we can get it to the lab for analysis. Here’s a video I took this week of some good irrigated peanuts being dug. Click on the video to get to it. 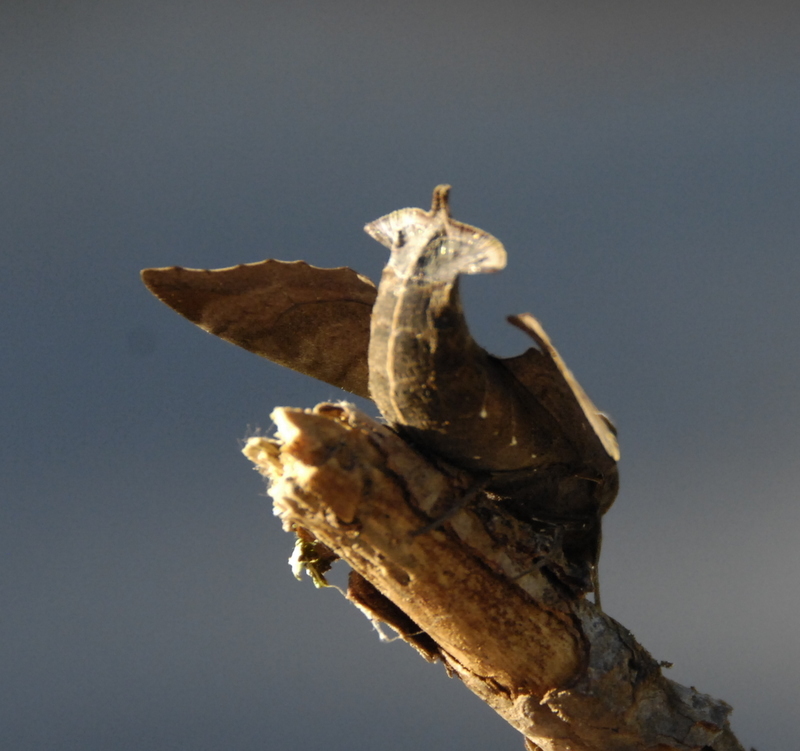 Last week I had a photo of a large moth found here and it was a female Mournful Sphinx Moth, Enyo lugubris. Dr. James K. Adams of Dalton State College says South Georgia is the place to find them, and they tend to be more abundant during the fall. 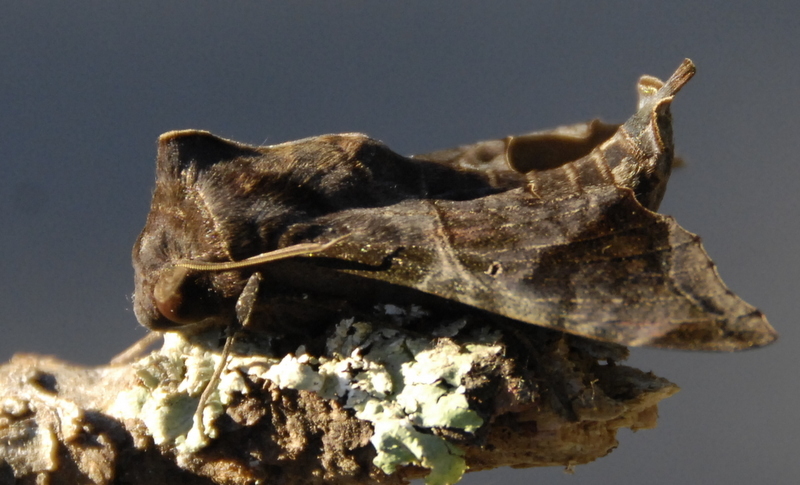 Here above is another view of the moth. We have a lot of interesting creations God has made for us around here if we’ll just take time to observe and enjoy them. 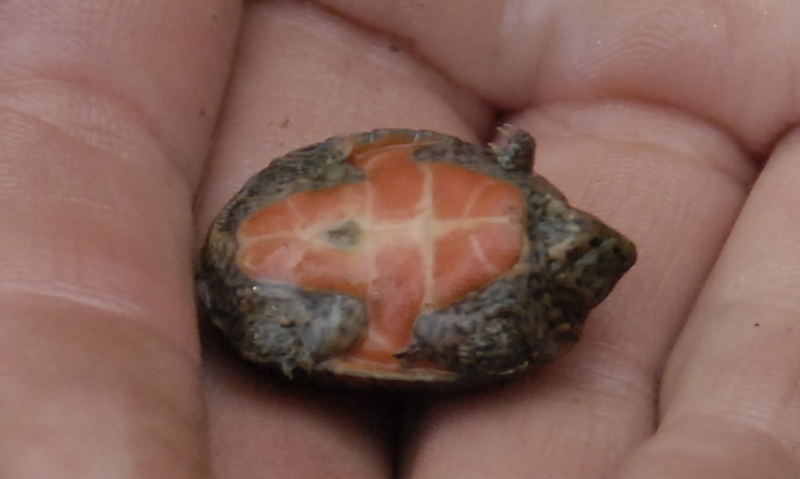 This week’s question is… Can you identify this baby turtle that Jesse found in Spring Creek a few weeks ago? To Make Hay or Not With Peanut Vines? 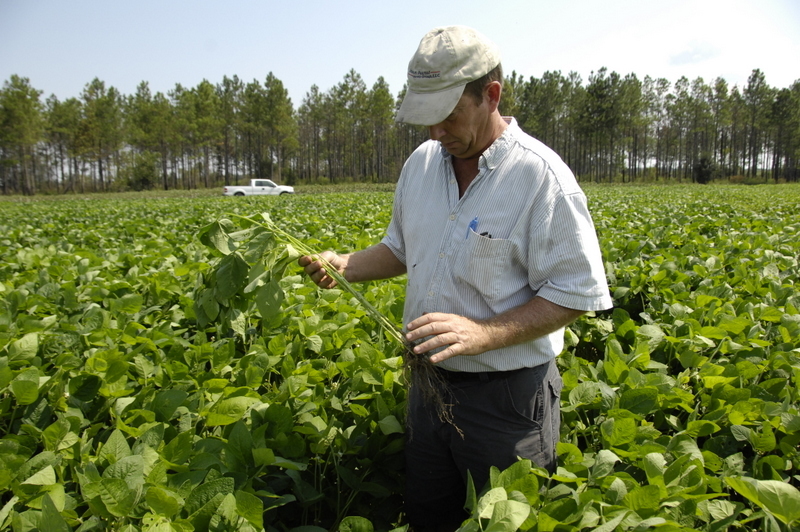 I’ve been questioned recently about the value of peanut vines to the soil and the value of the nutrients you take away when baleing the vines for cattle feed or other uses. 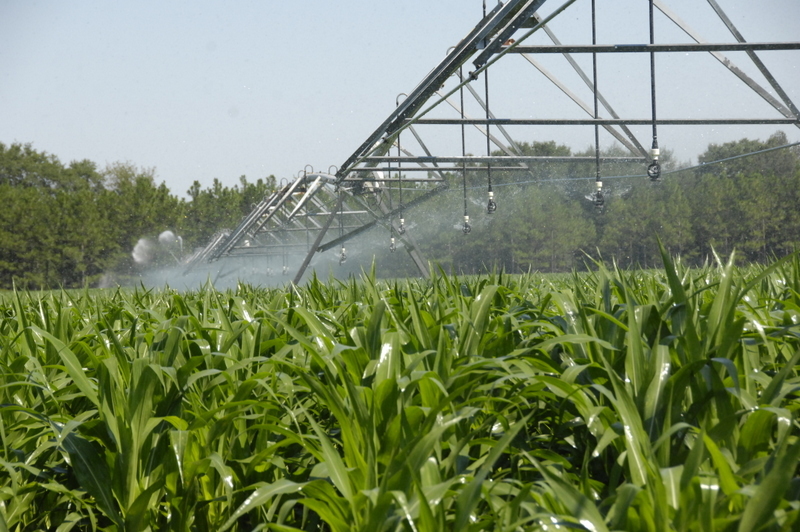 The UGA Corn yield test data is ready in a preliminary form and you can get some useful information by looking at it. There were some very high yields on some of the tests. I like to look at the 2 and 3 year averages on the ones that are available. The UGA CAES Statewide Variety Testing program provides annual performance testing results on several commodities including canola, small grains and forage, corn and silage, and field crops. Click on the following link to take you to the variety testing page and then click on the commodity you want to look at on the list on the left of the page. I’m getting reports of some dryland peanuts going to a classification known as Seg 3, due to aflatoxin. Also some irrigated peanut loads with a little dry corner of a field in them may go to the lower quality designation as well. 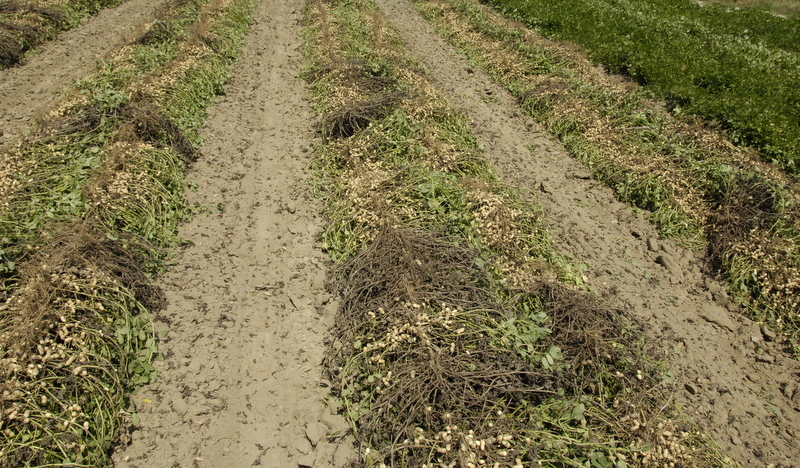 So we need to make sure that we separate dry stressed peanuts from non stressed, irrigated nuts. If we keep them separate it will cut down on the poundage classified at the lower level. In this photo you can see where the irrigation water comes to in the field (greener vines in background). In the foreground we have drought affected peanuts and also spider mites have moved in and affected the vines here. This grower told me he will dig these peanuts in a few days and pick the dry area separately from the irrigated even though it will be some trouble to do it. It will pay off in the long run. Here are some dryland peanuts that are worse beside a tree line where the trees are pulling moisture from the area as well. price election which is $500 per ton for 2011.
trigger at below $425 per ton. For $600 per ton, the quality loss adjustment will trigger at below $510 per ton. which clearly shows the number of pounds, price per pound, and quality of such peanuts. (ii) Multiplying this result by the number of pounds of such production. Here is an example of a couple scenarios for Seg. 3 peanuts. 85% of the price election. $6,250 for the unit before quality adjustment. is used to derive a factor to adjust the production to count. factor. Multiply the factor times the production to count of 75,000 lbs (1,500 if want by acre basis), 0.4 x 75,000 = 30,000. The harvested yield is reduced by 30,000 lbs to give new production to count of 45,000 lbs. The total indemnity is paid on the guarantee minus the production to count, in this case 100,000 – 45,000 = 55,000 lbs. acre paid $150 per acre or $7,500 on the unit. instance, there can still be an indemnity if the quality loss is large enough to drop the production to count below the guarantee. 100,000 guarantee minus 56,000 lb. is 44,000 lb. shortfall. The indemnity is calculated as 44,000 x 0.25 = $11,000. long as the price received is less than 85% of price election or contracted price in the case of option contracts. Contact your insurance agent if you think you will have Seg. 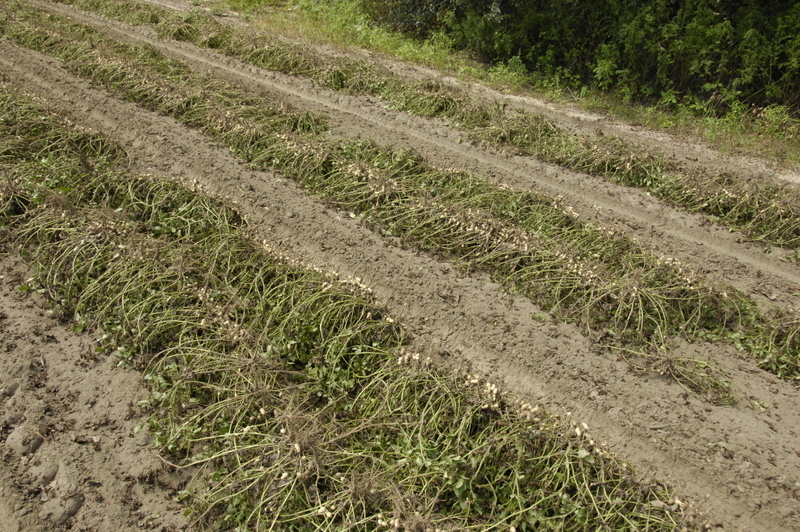 Here’s a video I took 2 days ago of some dryland peanuts being dug. The ground was hard then and he had new blades but they dulled very quickly in the hard dry dirt. Last night we had some rain that will facilitate digging. Anita Tabb, NRCS Representative, let me know that we have an early deadline for EQUIP and WHIP program signup. These programs have been a big benefit for us, especially the Irrigation Retrofits and Diesel to Electric Irrigation System conversions. Signup for both ends September 30, 2011. Please see USDA NRCS before this deadline if you would like to be considered for funding. 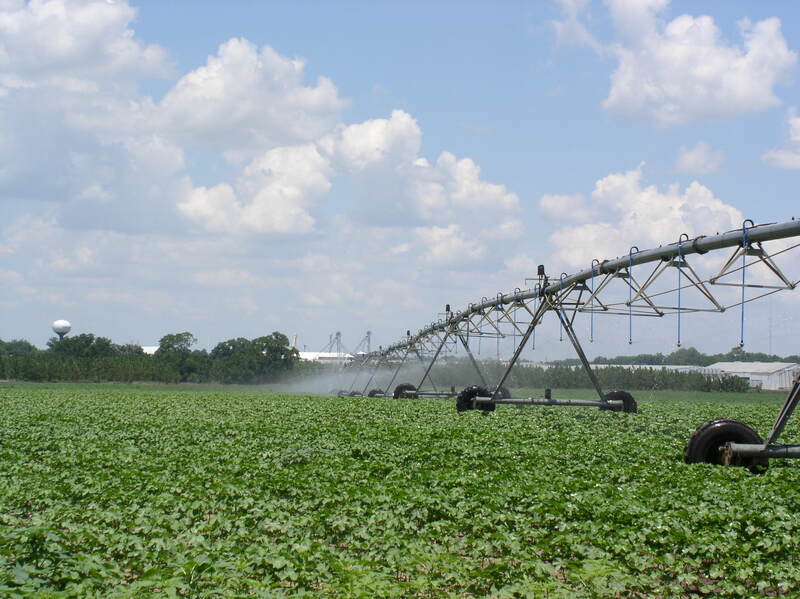 WATER CONSERVATION – Irrigation Retrofit, Diesel to Electric Conversions. GRAZING – Cross Fencing, Heavy Use Areas and Pipeline. Here’s a photo from Anita Tabb of a system that has been retrofitted with a better pattern and nozzles on drops, getting more water where it needs to go, more efficiently. Last week I asked you to identify a frog we found here. 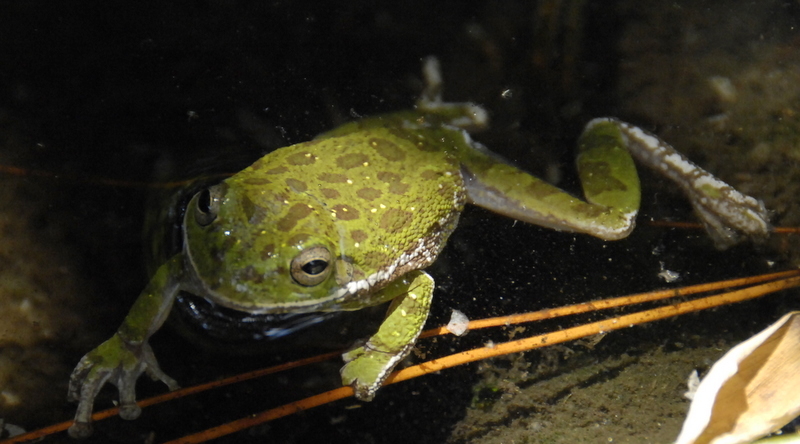 It was a barking treefrog. It’s scientific name is Hyla gratiosa and it is an interesting native frog that can change color from brown, to gray, yellow, or various shades of green. This frog’s name is derived from its call which is nine or ten syllables of raucous barking, or a single explosive “doonk” or “toonk” sometimes repeated at intervals of one or two seconds. 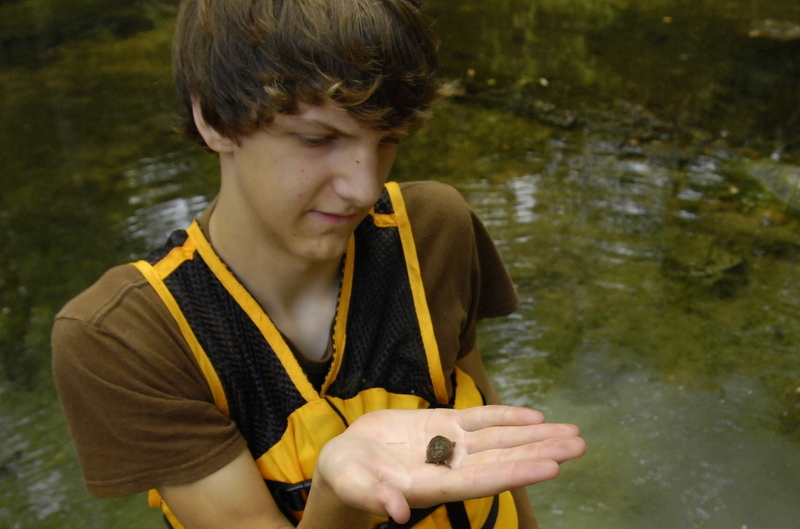 It s a pretty good sized frog, it grows to 2 and three quarter’s inch in body length alone. Some information taken from the USGS website. This week I would like help identifying this moth I found. It reminds me of a stealth bomber or something from Star Wars. May planted soybeans are looking good although we’ve been finding some stinkbugs and having to control them, as they can do a lot of damage in a hurry. Here are some of Dennis O’Hearn’s irrigated beans near Donalsonville. End of July planted soybeans look really good at David Hall’s farm. Here’s David showing me some of his beans that are just beginning to set pods. They have very good height for late beans and I believe they have good yield potential if we have warm weather on into the fall and no early hard cold. He had to put out a spray for loopers a couple of weeks ago and he will soon put on a fungicide to protect them from disease. Dr Kemerait , UGA Extension Plant Pathologist reports that Asiatic Soybean Rust has now been detected in southwest Georgia, so soybean growers should consider a protective fungicide spray . Peanuts are being flipped over in abundance now in southwest Georgia. We’re getting into some good irigated peanuts now. Early reports of some 3 ton fields are coming in and good grades as well. Peanuts I’ve seen are very consistent down the row. A little white mold in spots is apparent. Some dryland fields are in the 3,000 pound range with pretty good grades, and some are in the 800 pound per acre range. 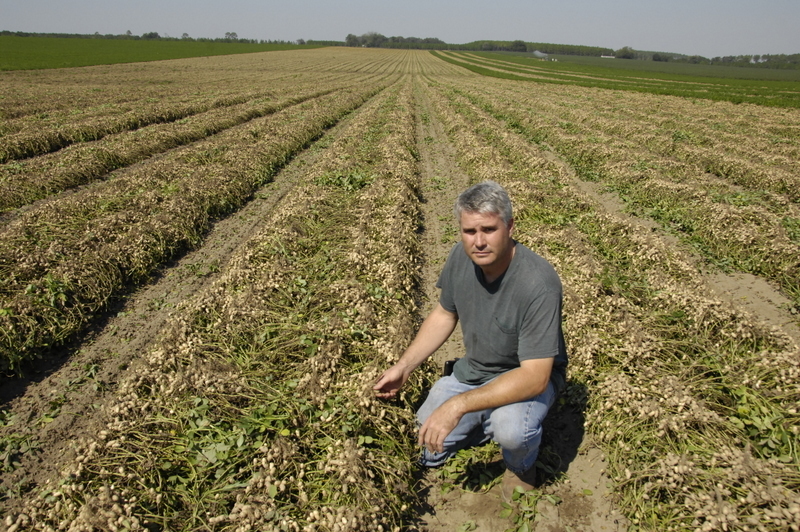 Here’s Glenn Heard as we looked at some of his peanut fields near the Desser Community. They will soon be dug and look like good peanuts. Glenn and I were talking about what a blessing it is that we don’t have much Tomato Spotted Wilt Virus (TSWV) when it was such a problem a few years ago and concerned us so much then. He said maybe we’ll look back on the Palmer amaranth problem in a few years and say something similar. He talked about how they do everything they can to control pigweed because it pays off in future crops on the land. He’s right, prevention is a big deal on controlling pigweed, due to the female plant producing close to a half million seed. Here are some twin row Ga 06G ‘s near Desser as well on the Mim’s farm that look good. Clint says that the moisture is good for plowing up but they had to irrigate to get it that way. Peanuts over 120 days old don’t need a tremendous amout of water but we need to keep some on them until harvest, especially if they are wilting. These peanuts are extremely consistent from end to end.